” Until recently I honestly thought I was healthy and according to my doctor’s yearly report, I am. Of course, what my doctor doesn’t know is that I work a full work schedule in a hot kitchen. I am a Chef and Nutrition Therapist for Peoples Pharmacy in Austin, Texas and I work hard for my money. At almost 60 years old, that’s not as easy as it used to be 20 years ago. My mind kept on lying to me about my physical condition but my body could not. By Wednesday I was beginning to seriously drag my feet and started to overuse coffee as a way to stay energized and productive for my company. I knew it was not good for me. Then, one day, I remembered Dr. Kiriac’s BioSuperfood. I had met Roland Thomas years ago at the beginning of my Nutritherapist’s career and he had told me about this wonderful, almost miraculous product. I read all the material, was duly impressed, got busy and forgot about it. Since I always took good care of myself through my Mediterranean diet – after all I practice what I preach to my customers – I thought I would be fine. Fine I was, but energetic I was not. So I finally decided to give it a try and chose the formula F2 taking only 2 capsules at breakfast and 2 at lunch. 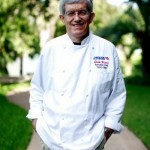 – Chef Alain Braux – author of three cookbooks on healthy eating: Healthy French Cuisine on Less Than $10/Day; Living Gluten and Dairy-Free with French Gourmet Food; and How to Lower Your Cholesterol with French Gourmet Food. This past year has been filled with concerns about radiation exposure from the Fukoshima incident. Fortunately, it was not a Chernobyl and according to the latest news from Japan, the situation is under control. Yet even with this somewhat good news, thousands of people are talking and writing about radiation exposure, and making all kinds of recommendations to millions of people; recommendations ranging from hiding in a hole to taking large doses of iodine, chlorella, or dozens of other supplements and cures. In this article, I will not address the fear of major radiation exposure, which by the way, would require much more extreme measures than iodine or chlorella. For decades now we have been increasingly exposed to all kinds of radiations and pollutions. Already in 2009 a study reported that Americans are exposed to about seven times more radiation on average than they were in 1980. Electromagnetic and nuclear radiation of all sorts can no longer be avoided; from electrical wires, cellular frequencies, Wi-Fi, medical and security scans, to your television, computer, home telephone, iPhone, and iPad, nuclear radiation is present everywhere everyday in America and around the world, and sun flares are here to stay. Besides these negative frequencies, and along with increased irradiation of our food, pollutants of all sorts are increasingly present in our food. This includes heavy metals, herbicides, pesticides, preservatives, and thousands of new chemicals, some identified, but most are not. Also rapidly increasing are thousands of new pollutants in the air that we breathe, in the food that we eat, and in the water that we drink. What’s a Wellness Warrior to do? The wellness warrior is not naïve: he knows he is under attack, he knows there is no rest. Instead of living in fear and anxiety, aware of his innate powers he does everything he can to cultivate invincibility and counteract the negative energies. I know there is more to it than a bravado attitude. You have heard the expression “prevention is the mother of invention,” and maybe this one “the best fight is no fight.” It’s obviously the best way to prevent and fight diseases, infections, pollution and radiation too! 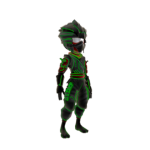 The learned ninja knows the danger in a fight, and will do all in his power to avoid it. Its a matter of energy, not medicine – the wellness warrior intuitively knows that with energy he will win – In his book “Biological Immunization as applied to Human Nutrition,” Dr. A. Bedoe states that “We are energy beings; we live off the energy that we derive from our food”. Our cells grow, heal and regenerate, THEY are the medicine, and all they ask for is good food/energy and basic raw materials. Health is a lot simpler than disease. Medicines, western or alternative, are over rated. That is why I know that “let thy food be thy fuel” is more precise then “let thy food be thy medicine.” Health is not about medicine; it is about refueling and preserving your precious energy. Eat a high energy low acidic diet – the wellness warrior strive for efficiency – if you think of food as fuel, then you’ll think about efficiency. The best high energy low acidic food in all categories tends to be the plants (best are leafy greens and fruits), and the purest (organic) and freshest (raw) are best. And there are even more benefits to eating the smaller food in most categories (berries instead of watermelon, lentils instead of lima beans, shallots instead of spanish onion, microalgae instead of sea vegetables, etc), as they tend to be the most dense and least acidifying. Simple! The more acidic your body is, the less resistant it is to infections. Pool owners closely monitor the pH of their water, shouldn’t we do the same for our body, which by the way is nearly 90% water! The blood must have a pH between 7.36 and 7.42. If there is too much acidity in your body or if its discharge fails, the pH of your blood drops. This leads to “acidosis,” which has numerous adverse consequences for your health, including a drop of efficiency of your immune system. In addition, viruses such as influenza love an acidic terrain. Acidity can also be a result of poor elimination. We know, for example, that poorly managed stress promotes acidification through chain reactions. Alkalizing your body through a low acidic diet works to improve your health. Think of the alkaline battery (going and going) as compare to the rusty battery (acidic and dead). This is one of the basic principles of natural health. And you can increase elimination through eating less, rational fasting, regular exercise, oxygenation, sweating, rest, quiet and adequate sleep. All this helps you to combat disease. The lightness of being – the wellness warrior knows that lightness is power – Eating too much is the leading cause of disease in America. Research shows that if we reduced our food intake by 25% we could reduce diseases by 75%. We are encouraged to eat too much at a young age, and this continues throughout our life at kindergarten, schools and restaurants. Now we have to spend the rest of our lives learning how to feel good without eating too much. Learn to eat small snacks instead of large meals. We no longer have to eat industrial era style, when eating a large meal and working long hours was the way of life. The days of the big breakfast are over. The idea is to increase room to breathe in the body. Try rational fasting, play with it, don’t eat one day, just drink water, eat a couple of apples or celery sticks. See how it feels. Is eating less of a bad thing worse than eating too much of a good thing? Even rawfoodists, vegans and vegetarians will get sick eating too much. Shake shake shake your body – the wellness warrior knows that lazyness is death and movement is life – Exercise, exercise, exercise; the facts are out, fit people are healthy and happier than sedentary people. It’s not rocket science. Hypoxia (lack of oxygen) leads to disease, the reverse, hypoxy (oxygenation) leads to health. Exercising increases cellular oxygenation a major energy contributor … with more energy your cells will work harder for you, doing what they do best; growth, repair, regeneration, protection and detoxification. Increase brain health – the wellness warrior enjoys clarity of mind above all – In case you forgot, your brain and its critical functions are what make your body work – without it, we would have NOTHING! Our brain helps us to think and feel, but also controls a myriad of vital physiological processes in our body: respiration and digestion, for example. Did you know that the speed at which your brain works will allow your body to function like a well-oiled machine … or on the contrary let it be shaken by turmoil? This turmoil may be of the mind; confusion, forgetfulness, depression, dementia …, or the body: poor digestion, high blood pressure, infections, etc. If during your life, your brain processing speed slows down by more than 100ms; your brain begins to have serious problems doing its work. In fact, if we regularly take more than 400ms to process a thought, or connection, we are no longer consistent mentally or physically. The current trend is that 40% of baby boomers will suffer from Alzheimer’s disease by 2040. And unfortunately, as we learn to prolong life, there are no significant advances in slowing cognitive decline, which nowadays begins at 40 if you allow it by doing nothing. Beyond the age of 60, 15 to 20% of people suffer from at least one form of mental disease (senile dementia, Alzheimer’s, depression, etc. ), and beyond the age of 90, more that 80% are affected. Though the eldest are affected first, some are experiencing slowdowns in their 20’s and should be concerned and act now to prevent it. If you are interested in living a long and healthy life, you must do your best to prevent your brain from slowing down. Certainly all of the above suggestions will contribute to brain health on many levels. But more can be done. There is absolute evidence that remaining active will slow down brain decay and increase memory, joy, and longevity. Take on activities that will stimulates your brain: learn a language, study nutrition, practice QiGong or yoga. In light of the Fukoshima events, I want to remind you of BIOSUPERFOOD as an extraordinary ally in your pursuit of health and prevention of degenerative disorders. During 15 years of intensive Soviet research, BIOSUPERFOOD was proven to increase energy and performance to the most critical brain organ, the hypothalamus-pituitary axis (HPA). In a study following the Chernobyl disaster, feeding the algae to victims of radiation illnesses was observed to help the body decrease radiation load and promote elimination of radionuclides. Consuming the algae blend was also observed to promote elimination of heavy metals like lead, mercury, copper and cadmium. The algae blend’s principal mechanism of action is being extraordinarily efficient at nourishing brain cells, which increases their energy. As a result, our brain is more engaged, the immune system is activated, the glands and the organs have no choice but to function better; there is sustained energy, repair, regeneration, increased detoxification, and prevention becomes the order of the day. As pollution hazards have increased dramatically on earth, I am grateful for BIOSUPERFOOD. BioSuperfood, unlike most supplements, is not a conglomeration of separated and/or isolated vitamins and minerals, nor is it a composition of concentrated ingredients bound together and compressed with fillers in a pill. BioSuperfood is actually a wholefood that contains four microalgae specifically selected for their compatibility, balance, and synergy. Each algae is carefully grown, nurtured, harvested, and preserved under high quality assurance. The BioSuperfood formulas are certified by Health Canada, and assigned its unique NPN (Natural Product Number). Together these algae contain thousands of naturally occurring nutrients like proteins, vitamins, minerals, chlorophylls, antioxidants, fatty acids, enzymes and lots more. So simple, YET read on to find out the extraordinary diversity and power of its nutrients! We know today that the principal nutrients for cancer prevention can be obtained by eating a mix of colorful fruits and vegetables (American Cancer Society). These nutrients are the mixed antioxidants, carotenoids, chlorophylls and other phytonutrients that are found in those fruits and vegetables. Read on. Some algae in BioSuperfood have the highest usable (90% NPU) protein content of any natural food (65%); far more than animal and fish flesh (15-25%), soybeans (35%), dried milk (35%), peanuts (25%), eggs (12%), grains (8-14%) or whole milk (3%). BioSuperfood contains all known essential and non-essential amino acids in high availability or non limiting form. Amino acids are all about quality. Protein is composed of amino acids. Essential amino acids cannot be manufactured by the body and must be supplied in the diet. Non-essential amino acids are needed too, but the body can synthesize them. Essential amino acids, plus sufficient nitrogen in food, are needed to synthesize the non-essential amino acids. A protein is considered complete if it has all of the essential amino acids. Spirulina in BSF is just that, a complete protein. The body requires amino acids in specific proportions. If a food is low in one or more amino acids, those amino acids are called limiting amino acids, and the body cannot use all the amino acids completely. The most complete and ideal proportion of amino acids can be found in BioSuperfood because of its mix of several algae. BioSuperfood complements vegetable protein and increases the amino acid quality if eaten within several hours of other foods. A good portion of the daily essential amino acid required for a typical adult can be supplied by eating BioSuperfood daily. BSF contains the complete array of vitamins that most living beings need to carry on metabolic processes. Not only does BioSuperfood contain all vitamins, including a full Vitamin B Complex, vitamins A, D, K, E & C, BUT it also contains all co-dependent nutrients for these vitamins to be functional and active for human assimilation. With BioSuperfood being a complete and balanced food, you don’t have to worry about dosages. You cannot make a mistake with mixing and matching like you can with isolated and separate vitamins and minerals. BioSuperfood contains some amount of all dietary minerals. As important as vitamins are, they cannot be assimilated without the aid of minerals. Although the body can manufacture a few vitamins, it cannot manufacture a single mineral. All tissue and internal fluids contain varying quantities of minerals. Minerals are constituents of the bones, teeth, soft tissue, muscle, blood, and nerve cells. They are vital to overall mental and physical well being. Minerals act as catalysts for many biological reactions within the body, including muscle response, the transmission of messages through the nervous system, and the utilization of nutrients in food. BioSuperfood contains no less than 100 trace elements, which are minerals occurring in very small amounts. They can be found in a form most readily available to humans in the plant kingdom. For example, iron occurs in BioSuperfood’s algae in a non-toxic form that is more readily absorbed than that found in beef liver. Its calcium spirulan has anti-viral action known to inhibit cancerous cells. In biochemistry, a trace element is a chemical element that is needed in minute quantities for the proper growth, development, and physiology of the organism. It can also be referred to as a micronutrient. The combination of microalgae in BioSuperfood boasts thousands of life sustaining enzymes including DNA, RNA, SOD, Glycolipids and many others. The spirulinas in BioSuperfood contain as many as 2,000 enzymes. Among other important enzymes identified in spirulina are restriction enzymes. Restriction enzymes (endonucleases) work like scissors to cut the DNA of invading enemy microbes. No other food or combination of food contains this many naturally occurring enzymes. Some of these enzymes are critically important for health, such as superoxide dismutase (SOD). SOD is an iron-containing enzyme that supports important body-cell processes and also protects the cells from free radicals. BioSuperfood contains fatty acids such as Omega 3, 6, 9, GLA and several more including some yet undocumented or undiscovered. Most of us think of fatty acids as oils coming from fish or seeds. You will be happy to learn that BioSuperfood is a rich source of fatty acids and is especially high in GLA, which is a critical nutrient that is universally lacking in the American diet. The human body uses fatty acids from food for building tissues and for specialized functions such as the production of prostaglandins (localized tissue hormones). One major division of fatty acids is the essential fatty acids, which are polyunsaturated, and include two major groups: omega-3 and omega-6 fatty acids. They are called “essential” because the body cannot make them and must obtain them from food. Essential fatty acids (EFA) “the good fats that heal” are the fats you’ve been increasingly hearing about in recent news. Your body can’t live without them. They’re needed for a healthy heart, a healthy nervous system, a healthy immune system and especially a healthy brain (the human brain is around 80% fat). Perhaps you’ve heard of GLA (gamma linolenic acid) and DHA (docosahexaenoic acid). Human breast milk is high in GLA, probably due to the infant child’s need for brain-building fats. And since many infants never gained the important nutritional benefits of their mothers’ milk, they’ve been GLA-deficient for their entire lives. The American diet of processed foods contains virtually no GLA. And low-carb dieters aren’t getting any either, unless they specifically supplement it. And you can also get it from BioSuperfood every day of your life! 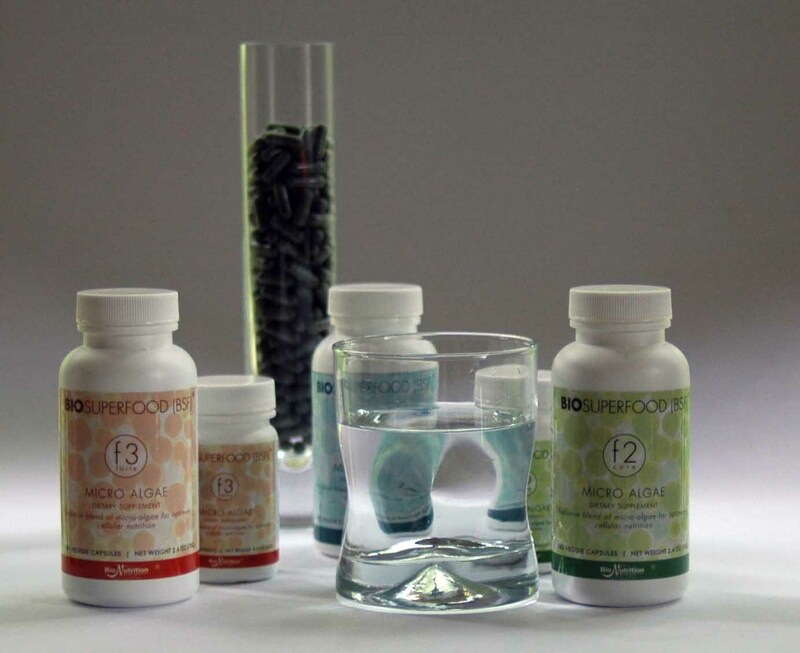 Spirulina in BioSuperfood is one of the richest sources of chlorophyll with a perfect balance of magnesium. All plants, algae, and cyanobacteria (blue-green algae), which perform photosynthesis contain chlorophyll usually with the proper balance levels of magnesium required for photosynthesis. Energy is a vital force that we associate with light. It has to do with liberating the sun’s power from carbohydrates and lipids so that we can use it to produce energy. Certain microalgae like cyanobacteria in BSF are the only plants able to directly transfer sunlight energy into chemical energy with near 100% efficiency. Energy from light is received somewhat directly as sunlight, but is received in much greater amounts from our food. The chemical energy stored by photosynthesis (watch YouTube video) in carbohydrates drives biochemical reactions in nearly all living organisms. Releasing the power of light from food requires a balanced disassembly of starches, sugars, and fats that are the bearers of light. Chlorophyll is the shepherd of light energy – in the central atom of the chlorophyll molecule is magnesium where the sun’s light is gathered for releasing the sugars, starches, and fats from which we will eventually get our energy. Magnesium is omnipresent in the catabolic steps in which we disassemble sugars and fats in our metabolic fire : the Krebs (citric acid) cycle. Thus, chlorophyll is at the center of the photosynthetic oxidation-reduction reaction between carbon dioxide and water. What’s so good about the chlorophylls in BioSuperfood? Chlorophylls release ions when struck by the energy of sunlight. These free ions stimulate the biochemical reactions that form proteins, vitamins and sugars. Chlorophylls increase peristaltic action and thus relieves constipation, and also normalizes the secretion of digestive acids. Chlorophylls soothe inflammation and reduce the excess pepsin secretion associated with gastric ulcers. Chlorophylls support liver function so that your body can do a better job of eliminating toxins from your system. When chlorophyll is ingested with sufficient iron, its magnesium is displaced to yield a hemoglobin molecule. Experiments in Japan and Russia have demonstrated that algae has a marked positive effect on leukemia and anemia, possibly due to the conversion of chlorophyll into hemoglobin. The algae found in BioSuperfood have unique cell wall made of complex polysaccharides, which have been shown to stimulate interferon production and exhibit strong anti-tumor activity in a series of studies conducted over the last several decades. Polysaccharides are relatively complex carbohydrates. Dietary spirulina has been shown to exhibit chemopreventive and antiviral effects in humans. The active component for these effects has been investigated; it appears that several types of polysaccharides exhibit biological activity. Spirulina polysaccharides have been clinically observed to modulate the immune system as well as blood sugar levels. Scientists also found that spirulina’s polysaccharide acts similarly to Phycocayanin, a highly potent agent that activates the immune system. It improves the immune system’s ability to detect and destroy foreign microbes and eliminate toxins. It also enhances T-cells and improves Thymus gland function. Also observed were increased antibody levels and normalization of other cellular functions. Calcium spirulina, from a blue-green algae spirulina enveloped virus replication, – Hayashi et al. 1996. Pub. In Journal of Natural Products, Vol. 59, p. 83-87. Japan. The BioSuperfood formulas with their mix of blue-green, brown and red microalgae contain thousands of phytochemicals and colorful pigments making up the entire color spectrum found in nature from blue to green to red. We know today that the principal nutrients for prevention of cancers are found in colorful fruits and vegetables (American Cancer Society). Those nutrients are a mixture of phytonutrients such as antioxidants, carotenoids, chlorophylls and more. In summary, BioSuperfood contains a large array of pigments and carotenes like beta carotene, alpha-carotene, astaxanthin, lutein, lycopene, quercitin, phycocyanine, phycobilins, b cryptoxanthin and several others that offer powerful immunity and a shield against continuous pollution, toxins and stress. BioSuperfood contains extraordinary antioxidant compounds, including alpha-carotene and beta-carotene known as “pro-pro vitamin A” for their capacity to not only traverse the cell membrane but to span across it. BioSuperfood contains high level of astaxanthin, the star of antioxidants Astaxanthin is a pigment of the carotenoid complex found in the microalgae Haematoccocus Pluvialis present in BioSuperfood. It is an oxygenated pigment called a xanthophyll. Its unique molecular structure gives it a superior antioxidant capacity. The extraordinary amounts of carotenoids and several lesser pigments such as phycoerythrin, tetrapyrrole, and phytonadione found in BioSuperfood are not just the “color” of living organisms, but are used to carry on metabolic processes throughout the body. Without them, enzymatic reactions would be reduced until cellular disintegration occurred.